Frank Harmon wraps up a one night stand. 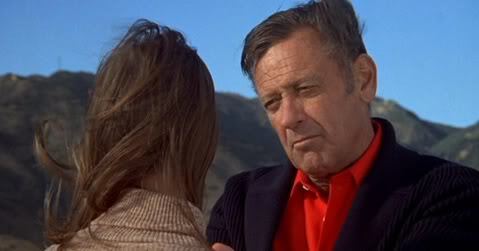 Without William Holden, the romantic drama Breezy (1973) may have been as light as its title implies. Directed by Clint Eastwood, the film stars Holden as Frank Harmon, a cynic who falls for a free spirit less than half his age. Until then, he’d been a cad who slept with women with no intention of ever seeing them again. 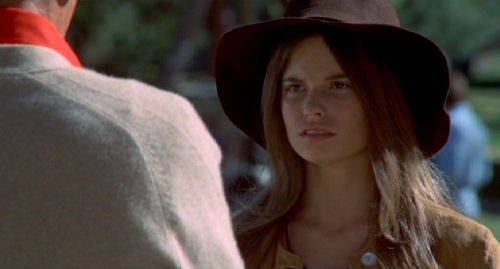 Kay Lenz plays Edith Alice “Breezy” Breezerman, a guitar toting hitch hiker. 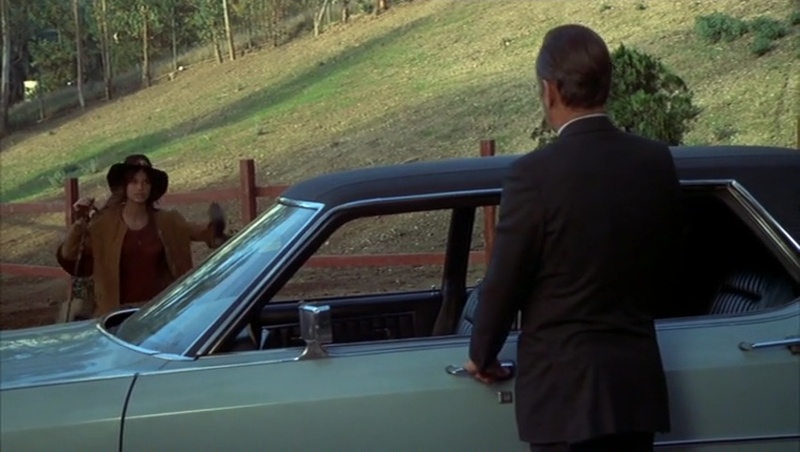 Stuck in the Hollywood Hills after a close call, she spots Frank and cons a ride into town. He’s a successful real estate agent and drives a boat-like sedan. He’s from the older generation, probably fought in a war or two, and makes no secret of his contempt for her kind. Along the way, Breezy sees an injured dog by the side of the road. Frank doesn’t want to stop. When they do stop, the dog appears dead. Frank is in a rush and wants to move on. His insensitivity angers her and she takes off without her guitar. It’s a good set up for the story about two people with opposite ways of looking at the world. Frank’s every defeat is etched in his face. Breezy is, well, breezy, a sunny eternal optimist. When they eventually meet again, she begins to chip away at his shell. Is change possible for him and is there any way to reconcile such vast differences? 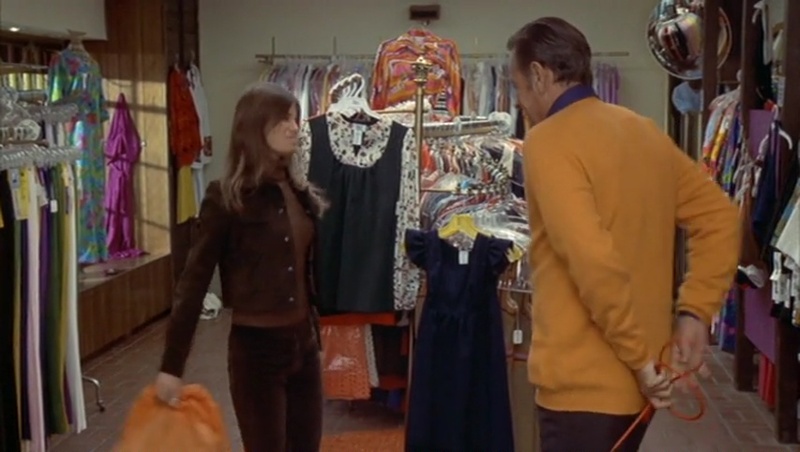 Kay Lenz is endearing but, at times, seems “too good to be true.” However, the character is right for the era. Lenz strikes a balance, conveying a range of emotions. Written by Jo Heims, the movie emphasizes the generational conflict at every turn. Frank is part of the country club set while Breezy makes the scene around Laurel Canyon. Her best friend is Marcy, a spaced out flower child, played by Jamie Smith-Jackson [All the President’s Men (1976)}. 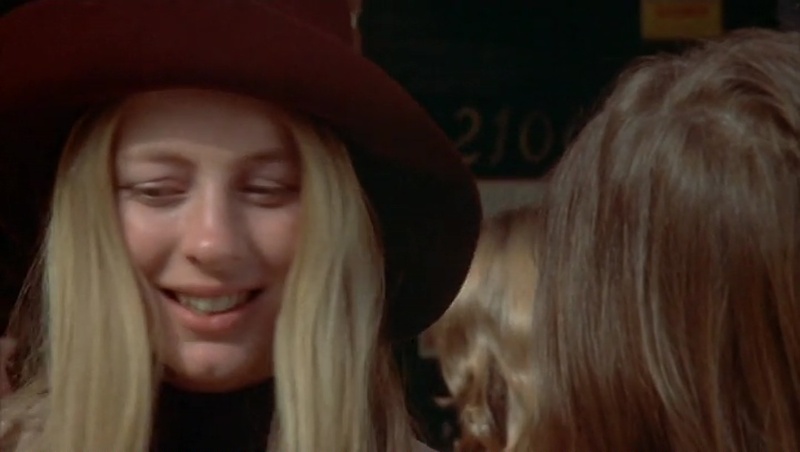 Smith-Jackson made her debut in Go Ask Alice (1973), a harrowing TV movie about a teenage runaway. In Breezy, she shows her comedic side. The rest of the supporting cast is also excellent. Rohmer wouldn’t break his Bazin-influenced naturalism by playing a ’70s soul-folk ballad over a beach at dawn holding hands montage … as Eastwood does in Breezy (1973) but the potency would be the same. It would be ‘real’ in a way that makes you weak at the knees, even sitting down. But where angels fear to tread, Eastwood just advances more slowly and inexorably, like a mongoose on a cobra. … You can tell by how fine and deeply it sits in your gut that it’s not just groupthink treacle. There’s a world of difference between manipulation–trying to make an audience feel some emotion–and the art of pleasing oneself. What makes Eastwood or Rohmer swoon? No one needs to ask such a thing, for we have their films. Of course, it would’ve been a much different movie had Eastwood taken on the role of Frank Harmon, himself. The cultural difference would have been there, Dirty Harry meets Joni Mitchell, but the generational one wouldn’t have been as keen. As is, Holden and Lenz make the unlikely pairing convincing. There are plenty of awkward moments, but by the end, we’re rooting for them. Thanks to Virginie and The Wonderful World of Cinema for hosting another round of The Golden Boy Blogathon. To view all the entries, click on the image below. 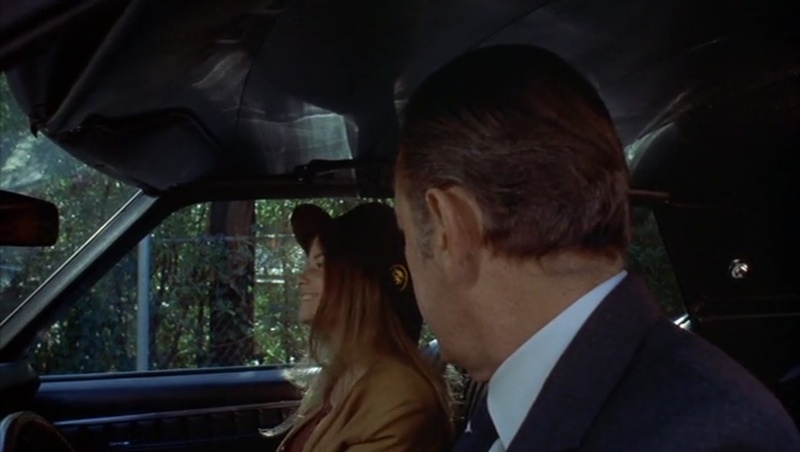 This entry was posted in Blogathon, Movies and tagged Clint Eastwood, Jamie Smith-Jackson, Kay Lenz, The 2nd Golden Boy Blogathon, The Wonderful World of Cinema, William Holden by crimsonkay. Bookmark the permalink. Great post! 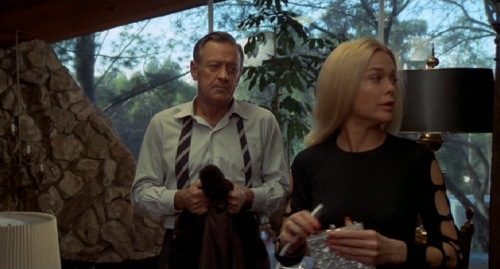 I really need to watch William Holden in some non-cowboy roles. Thanks! This is one of his best later ones. And directed by Eastwood. I like your use of the word “awkward”. It awkward pairing indeed, but that is the story and it is well told. Thanks for reading. So is PICNIC, at times, if you think about it. Thanks to YOU for sharing with us these relevant thoughts about a most beautiful film! Your great review certainly makes me want to watch it again! And a big thanks of course for participating to the blogathon! Thank you again. Same time next year??? With another actor,the May -December romance could have had the “Ick” factor,but Bill Holden’s sensitive performance makes it work. I love me a May-December romance, so if this crosses my path, I will definitely watch it! Great review. This was a, well, breezy movie: enjoyable and even believable, something I didn’t expect it to be. My favorite character was the dog, Love-a-Lot! That sounds good. Thanks for the invite.